Leanne Hahn is fascinated by the influence of one’s state of mind on posture and movement and vice versa. She explores the connection of body-mind-soul throughout her daily living and professionally with her clients and students. With a BSc in Nutritional Sciences Leanne pursued to become a Mindful and Intuitive Eating therapist. At the same time, she followed her love for movement and became a certified Pilates teacher. 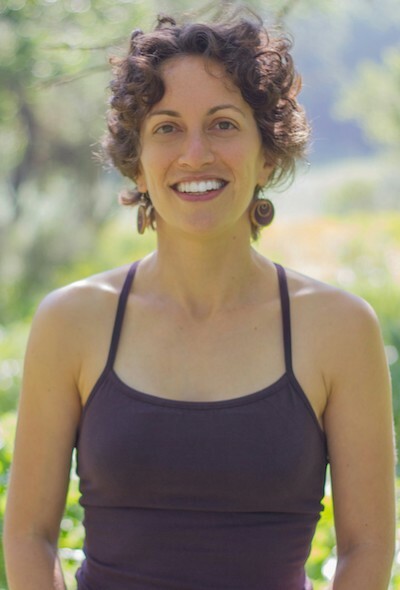 In 2008 she founded her studio The Apple Core where she focuses on her movement career promoting health and wellness through mindful movement, blending science and intuition in her work. Her curiosity for understanding fascia in movement and ongoing learning from Tom Myers, Karin Gurtner, Gil Hedley and other inspiring teachers enrich her practice tremendously. As an educator of Anatomy Trains in Motion in Israel and around the world, she shares the embodiment of integral anatomy with great excitement and passion. Leanne grew up in Cape Town, South Africa, and then immigrated with her family to Israel where she has been living since, with her husband and three precious children.